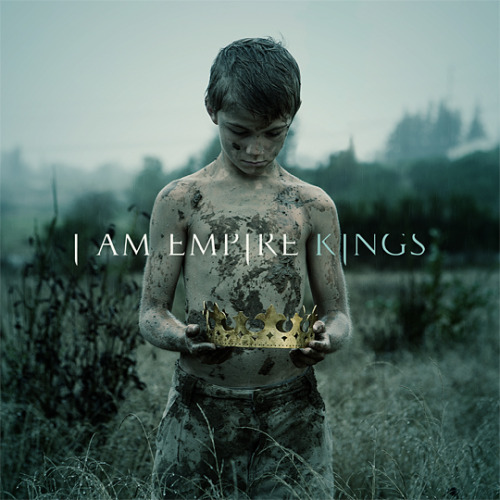 I Am Empire is an inspiring young independent outfit. Their debut release I Am Empire made Christian mainstream charts a couple times last year, and earned them a deal with record-label Tooth & Nail this August. The upcoming album (titled, Kings) is set for January 25th, 2011. I'm always impressed by that label's ability to sign fantastic artists. Their natural success and musical style remind me of Anberlin (who are currently touring with Circa Survive and named as one of I Am Empire's influences). It's refreshing to see another band whose aggressiveness is purely a side effect of having fun on their set. Straight rock with a tint of punk comprises most of the 2009 album, responsible for the above music video and single. End tracks "Found In The Ocean" and "The Other Side of the World" are the first signs of vulnerability; so whether or not they were strategically placed as final tracks #9 and #10, the band has cast themselves into a driven, in-your-face mode. There's an accepting, less arrogant way they do it, though, unlike many other bands made in the same mold. The first single off the new album, "Saint & Sinners", is heavier on percussion and guitar compared to their past material. With a deeper voice, the accompanying tremolos could be passed off on a Disturbed album. The use of space is apparent and adds depth to the track. Although the vocals do possess a little of that pop-punk whine, they are easily countered by an unwavering duo of Stanton and Otis, who are constantly pounding away at guitar. Unseen in the picture at the top of this post is drummer Eric Martin, who also contributes to what makes this band a harder form of rock. I recently picked up second single "Brain Damage", and it's been on repeat all night. Lyons's startling falsetto escapes in the chorus are just intoxicating. I'm liking that string arrangement in the bridge, as well. Kings is not on iTunes yet, but I'll tweet the link once it is. Casting Call: "Whatever Doesn't Kill Me"
If you're in Toronto for the end of the year (Wednesday the 29th, to be exact) and are capable of running, Finger Eleven needs you. Details can be found here. I apologize for not relaying this sooner; it's been one hell of a week. The song itself is sickly upbeat in a good way. It's not my idea of Finger Eleven, but it's an alright choice if they're looking to create a wider listener base. "WDKM" will be the second single following "Living In A Dream".